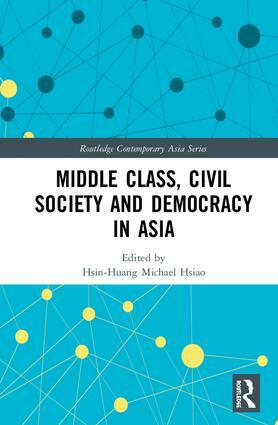 This book offers a timely analysis of the tripartite links between the middle class, civil society and democratic experiences in Northeast and Southeast Asia. It aims to go beyond the two popular theoretical propositions in current democratic theory, which emphasise the bilateral connections between the middle class and democracy on one hand and civil society and democracy on the other. Instead, using national case studies, this volume attempts to provide a new comparative typological interpretation of the triple relationship in Taiwan, South Korea, the Philippines, Indonesia and Thailand. Presenting a careful analysis and delineation of historical democratic transformation over the past thirty years, three discernible typologies emerge. Namely, there are positive links in Taiwan and South Korea, dubious links in the Philippines and Indonesia, and negative links in Thailand. Middle Class, Civil Society and Democracy in Asia will be of interest to students and scholars of Asian politics and democracy. Hsin-Huang Michael Hsiao is Distinguished Research Fellow in the Institute of Sociology at Academia Sinica and Chair Professor at the National Central University, Taiwan. His recent publications include Citizens, Civil Society and Heritage-making in Asia (2017) and Coping with China Risk: The Challenge to Japanese, Korean and Taiwanese Firms (2016).